Ogden, UT — Step inside a colossal human heart and learn what makes you tick at Ogden Regional Medical Center’s MEGA Heart event at the Ogden Valley Balloon Festival August 18 and 19, 2017. The MEGA Heart will be open at the Balloon Festival in Eden Park, (5522 E 2200 N, Eden, UT 84310) on Friday, August 18 from 4 to 10 pm and on Saturday, August 19 from 7 am to 10 pm. Tours of the MEGA Heart are free to the public and no reservations are required. To promote heart-healthy habits, Ogden Regional will bring the interactive, walk-through exhibit that stretches 26 feet long, 13 feet tall and 15 feet wide to a grassy area at the Ogden Valley Balloon Festival. 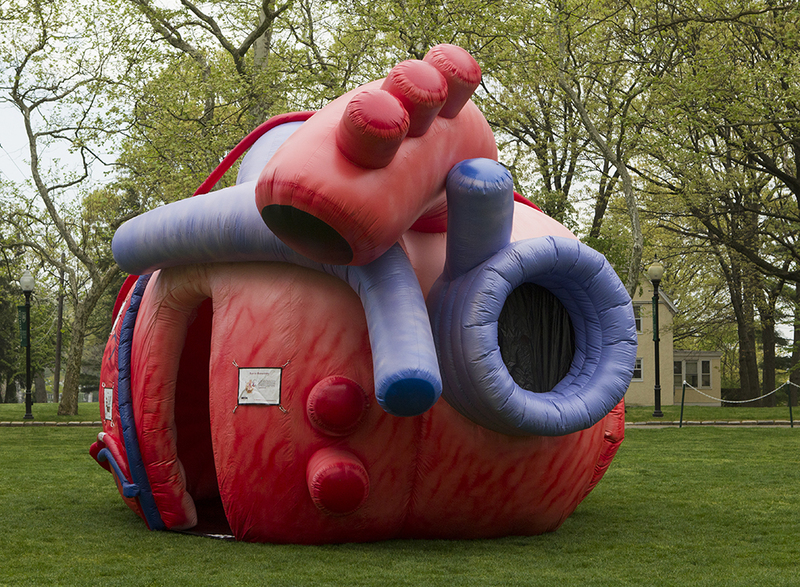 Visitors to the MEGA Heart will enter the giant exhibit through the largest vein that feeds the heart and exit through the aorta, the largest artery that leaves the heart. Along the way, they will learn about this very important muscle and observe examples of heart disease, America’s No. 1 killer. 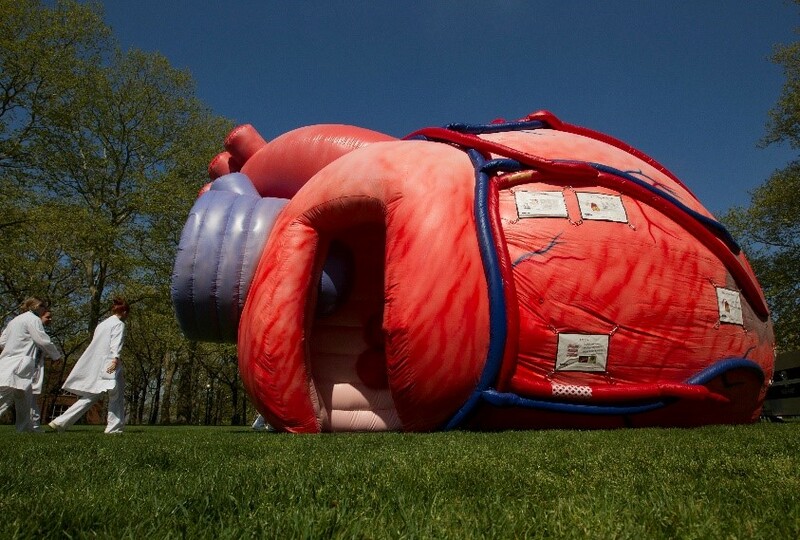 For more information about the MEGA Heart, visit medicalinflatables.com. Heart disease is the No. 1 killer of adults in the United States. In the United States, someone has a heart attack every 34 seconds. Each minute, someone in the United States dies from a heart disease-related event. It takes only 60 seconds for the heart to pump your entire supply of blood, about five quarts, through the body. In the average lifetime, the heart beats approximately 2.5 billion times. Your system of blood vessels — arteries, veins and capillaries — is more than 60,000 miles long. That is more than enough to go around the world twice.